GPS Project Marketing is a creative and people oriented organisation providing developers real results. 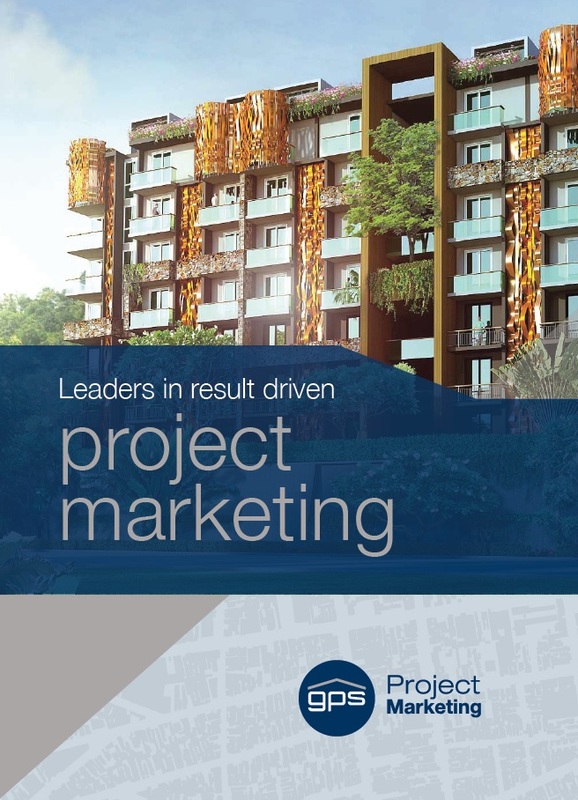 It is one of the market leaders offering innovative and results driven, high quality project marketing Australia wide. We have a proven record of successfully selling hundreds of apartments, townhouses, villas, houses and land packages in all major states around Australia, both off the plan and completed. Successfully working for many years with prominent developers and builders, we pride ourselves in delivering total service solutions. We also consult with architects and designers during the early planning phase of development to ensure the projects are well suited to the market demographics and potential buyers. We use various methods when marketing projects – online and offline resources including video, TV and radio marketing. GPS has a large database of experienced and first time investors as well as first home buyers. We work with a vast network of like-minded professional agents and referrers locally and overseas to make the sale of projects as fast and cost effective as possible. When listing your project with GPS Project Marketing, you are listing it with the vast network of other agencies and referrers. Incorporating proven with professional state of the art marketing strategies, GPS Project Marketing maintains full-time and well trained real estate professionals who continually strive to provide top quality service to their clients. GPS Project Marketing always endeavours to make the buying and selling of real estate as cost effective as possible while maintaining the highest level of service and providing accurate and up to date information, skilled analysis and sound real estate advice. We continually explore new ideas and technology with the aim of making all real estate transactions a profitable real estate experience and not just a sale or purchase. Compile Detailed Project Research Report. Email Marketing Campaign to our Database of clients and investors Australia wide, in excess of 17,500 emails. Compile Local Government Area (LGA) Research Report on the surrounding area. Customised video presentation on the project. Access to our Referral and Selling Alliances with Sub-agency agreements under a GPS agreement and management. Exposure and sales through our Interstate Offices and investor databases in all States. The team at GPS Project Marketing look forward to assisting you with your Project Marketing real estate needs.